Turkman farmer YOUNES AHMED OMAR says he still holds the title deeds to his family's farm near Kirkuk, which was seized by Arab militia in 1963. However, the Arabs who have occupied it since then refuse to accept recent court rulings in his favour. YOUNES AHMED OMAR is a Turkman whose family were expelled from Kutan village in 1963. Their farm lay on rich oil reserves, so Saddam’s regime displaced them with Arabs from the Al Bedir tribe, transferring their land documents without compensation. Younes returned in 2004 but has struggled to reclaim the land, despite an Iraqi court ruling in his favour. In 1963, Arab militia expelled Younes Ahmed Omar’s Turkman family from their lands in Kutan village. Their family farm lay on top of some of Iraq’s richest oil reserves. ‘They issued title deeds to our lands and cancelled all our documents,’ says Younes. The Iraqi government gave his farm to members of the Arab Al Bedir tribe from southern Iraq. Younes and his family later returned to their homesteads but were forcibly displaced once again in 1996. Their family belongings were looted by local Arab tribesmen and they were transferred to the Kirkuk area without compensation. Younes and his family were only able to return home after Saddam’s defeat in the 2003 Iraq war. 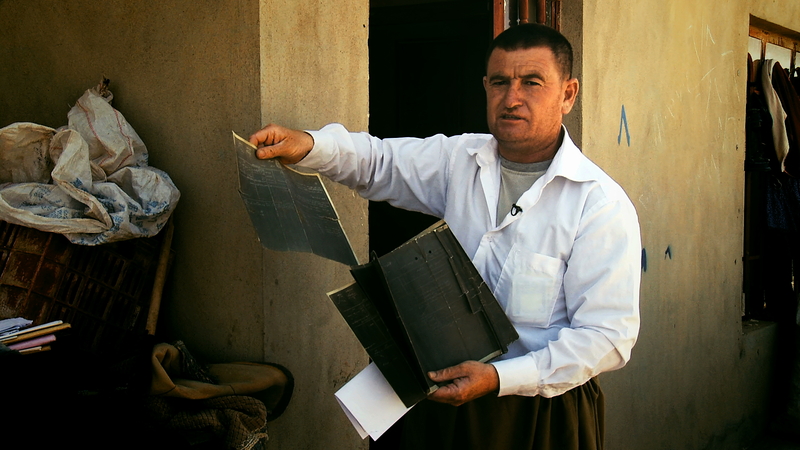 He still has the title deeds proving he owns 750 donums near Kirkuk, But he has struggled for years–so far unsuccessfully –to reclaim it, even though an Iraqi court has ruled in his favour. Kutan is a large Turkman village in the Dibs region. In 1963 the Iraqi government forced out the Turkman community and transferred land property rights to an Arab tribe.